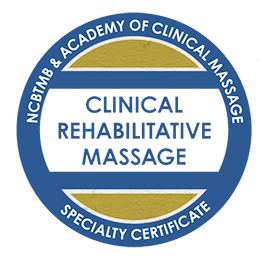 Includes any three of Lowe’s Clinical & Orthopedic Massage Online courses (18 CEs each) and applies toward the Clinical Rehabilitative Massage Specialty Certificate. Take advantage of the ‘new era’ in massage treatment by expanding what you offer your clients! Save $ with a bundle! Lowe’s Orthopedic Massage program is an innovative, comprehensive massage continuing education program. It is taught by Whitney Lowe, and offers advanced, science-based clinical and orthopedic massage. The program provides you with the credentials your clients, employer, and insurance companies appreciate, while giving you the training you need for treating conditions clients are seeking effective solutions for today. What Content is Taught? — Expand your core skills and knowledge about advanced pain and injury treatment! 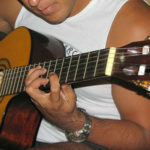 Core content includes a diversity of highly effective treatment techniques and all of the knowledge you will need to use them most appropriately and effectively. Behind all treatment choices should be a solid understanding of what is happening for your client – this is assessment and Lowe is renowned for his ability to simplify it and make it accessible. Plus, you get anatomy and kinesiology reviews, biomechanics lessons, and treatment planning strategies. In addition, there are videos of treatment and assessment videos which you can access anytime with no expiration date. Affiliate Program Option for Schools: Educators or schools may become Affiliate Providers, please contact Academy staff to inquire about integrating the program into your curriculum.